Given the amazing weather all of a sudden, we were suddenly thinking of one of our lovely beach side venues. Can you imagine anything more romantic and lovely when the weather is so mediterranean. 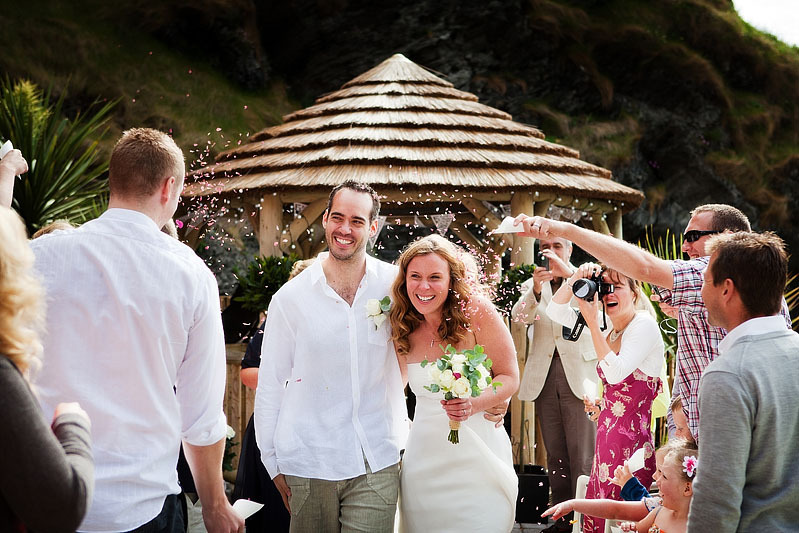 Tunnels Beaches is a private beach accessed via hand carved tunnels, licensed to hold civil ceremonies & civil partnerships. 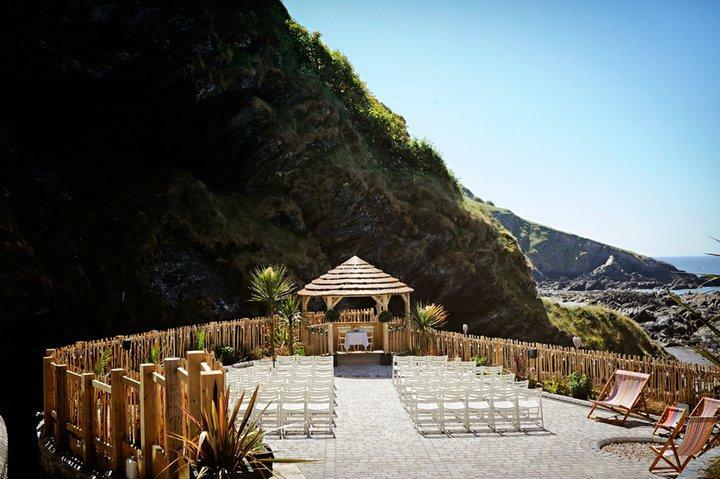 Get married within a thatched overlooking the sea, with no worries about the weather: our gorgeous function room & bar facility with balcony & roof terrace will be right there, overlooking the garden. 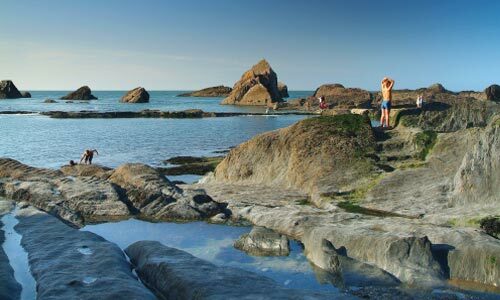 This unique and stunning location is an ideal venue for your special day – fantastic scenery for your photos, private secluded beaches with spectacular sunsets. Newly landscaped garden with paving allow outdoor weddings in all but the most inclement weather conditions. You're even provided with wood to fuel the outdoor fire pit!